Alex Sandereva started playing first in free radio in Brussels (Belgium) region in the 80s.he was passionate by the New Wave music / Coldwave. Then, logic flow,he is very attracted by new electronic cultures , particularly the House music. 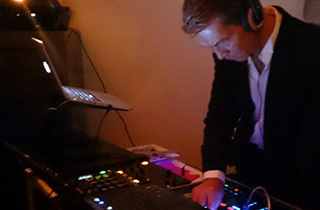 He plays regulary at private parties in Belgium in his favorite style like Deep House. He is very fan of this movement, he also often posts his dj sets on internet specialized sites.